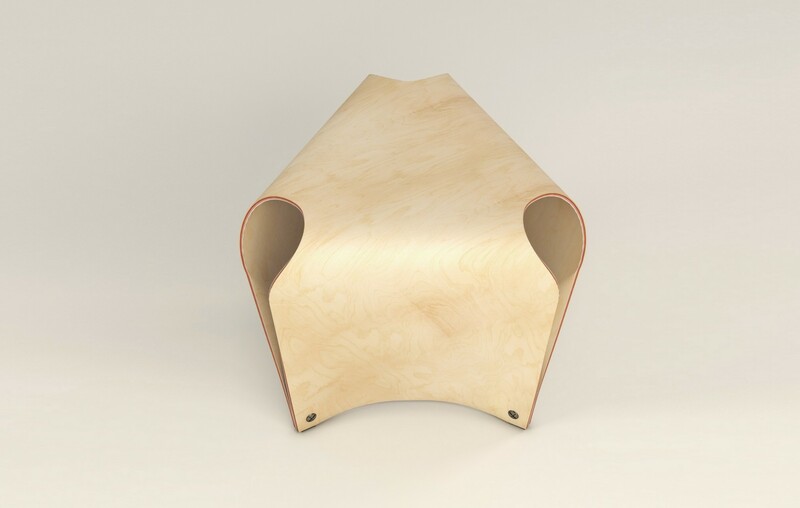 PLY is an elegant and playful stool made from steam bent plywood and is designed to be a flexible and luxurious addition to any interior design. 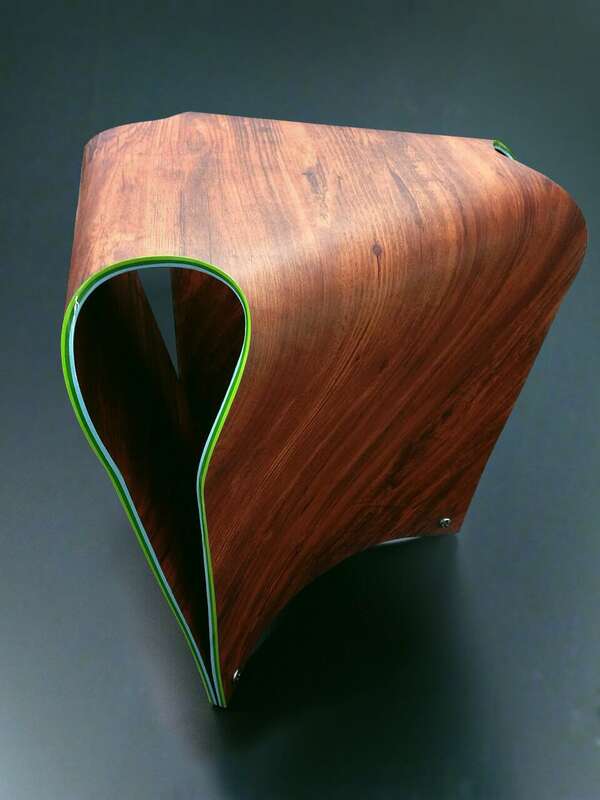 Developed in a range of colours and finishes it combines a smoothly curved wood-textured surface with a colourful edge that highlights the chair’s uniquely undulating geometry. PLY’s manufacturing begins with the fabrication of its plywood, which consists of various layers of coloured wood laminated. Out of each standard four by eight foot sheet two stool shapes are CNC cut at high accuracy. Two sets of standard moulds are used to first steam-bend the three legs into their curved profile and then fold them together. A small stainless steel profile with rubber damper, fixed with a large metal bolt, holds the sides together and provides a comfortable shock absorber to the ground. With flavours relating to ice-cream PLY playfully combines vibrant colours and natural textures with tried and tested methods for plywood furniture fabrication and adds to this an elegant and sensuous shape. Wood material finishes and colours can be chosen based on user demands. DESIGN | Laboratory for Explorative Architecture & Design Ltd (LEAD).